Technical Specification Item Air Temperature Probe Probe Type Air Temperature Probe Primary Measuring Element Thermocouple Probe Temp. Measuring Element K Thermocouple Temp. Range (F) -328 Degrees to 400 Degrees Temp. 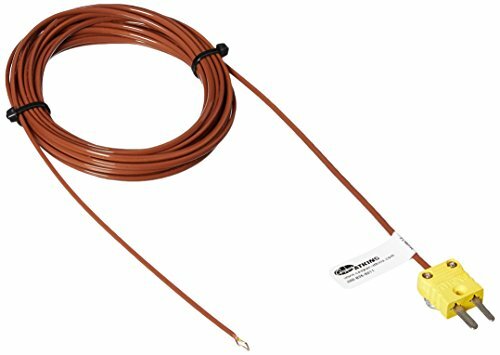 Range (C) -200 Degrees to 205 Degrees Probe Connection Type Mini Probe Contact Material Chrome Alumel Probe Wire Length 15 ft. Probe Length 1-1/2' Use Air and Gases Manufacturers Warranty Length 1 yr. Compliance and Restrictions This listing is for each.